Rotherham United’s trip to St Andrew’s on Saturday where they take on Birmingham City has Keith Stroud from Hampshire in the middle. Keith was last in charge of a Millers game in January 2017 for our South Yorkshire derby with Barnsley at the New York Stadium, the only goal of the game coming on seventy minutes from Adam Armstrong for the visitors. Joe Mattock for the hosts and Barnsley’s Ryan Kent saw yellow that day. at Villa Park. The game was a three-nil win for the hosts with six yellow cards being shown – two of those to Joe Mattock and sub Darnell Fisher. Keith was in the middle for three Millers games the previous season, the first time being in September at the Valley against this weekends opponents Charlton Athletic. The game was a one-all draw that afternoon with Farrend Rawson giving the visitors the lead in the first half but Patrick Bauer got an equaliser for Charlton on sixty-five minutes. That day Keith booked two players from Charlton plus Danny Collins and Joe Newell of the Millers. This is just Keith’s second game this season, the first being in August in an EFL Cup game between Southend and Brentford where he showed two yellow cards. 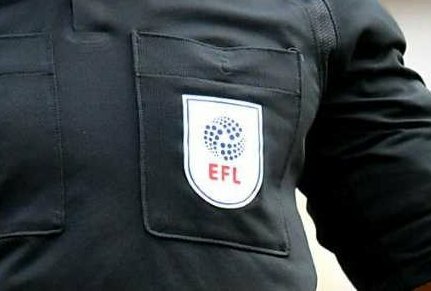 Running the line on Saturday we have Mark Pottage and Billy Smallwood while East Yorkshire’s Carl Boyeson is the Fourth Official.